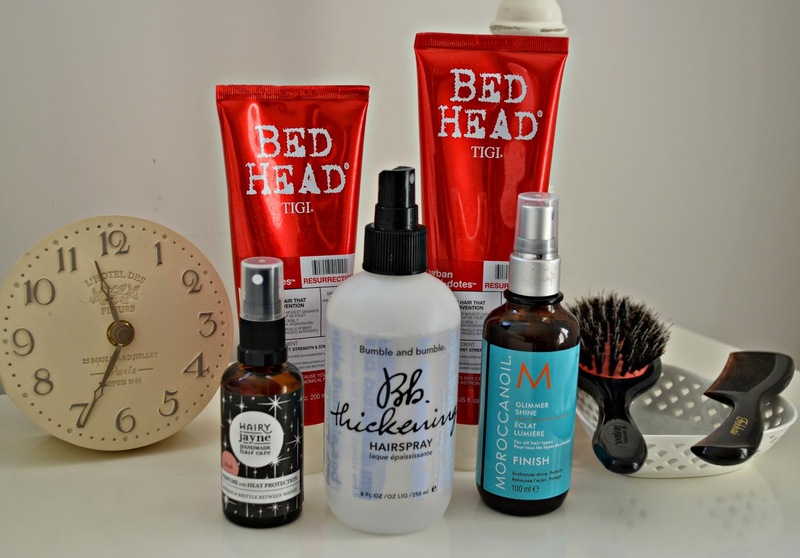 I thought I'd share with you my current fav hair care goodies, and as it ties into the end of March, I thought it worked well as a favorites post. 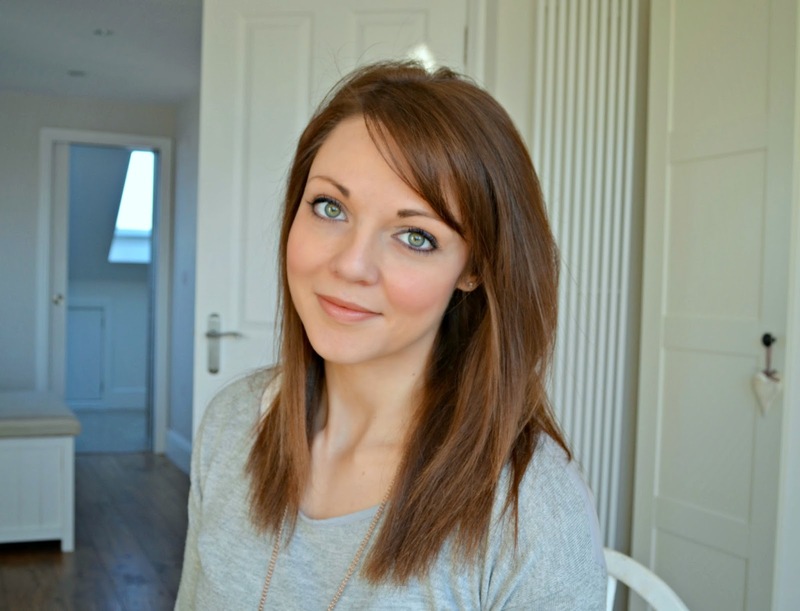 I will be shooting a April favorites video over the weekend to go on my YouTube channel too - and I'll keep you posted, you can always subscribe to my channel to make sure you do't miss it. 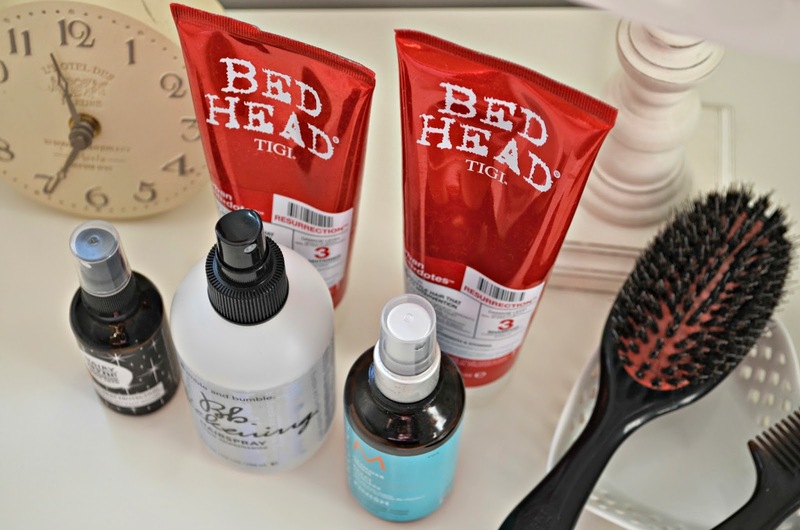 This month I have been using Bed Head's Resurrection shampoo (£10.35/250ml) and conditioner (£11.65/200ml) as my hair is quite dry, brittle and prone to splitting. The combo is advertised as rehab for hair, and I am really pleased with it. I've noticed that less hair is on the floor and in my brush after styling and it is feeling soft and smooth. The shampoo contains only light cleansers, so they are really gentle on your locks, but I've found my hair has been just as clean as normal,it doesn't need washing any more frequently. The shampoo and conditioner have loads of moisturisng ingredients which leads my locks tangles free, which also helps reduce damage. 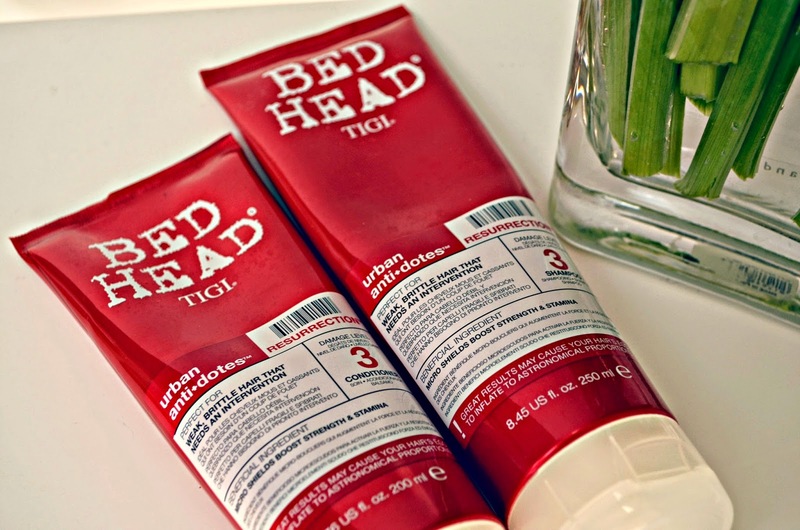 Heat protection is also included in the conditioner to prevent heat damage whilst styling. The shampoo is 50ml larger in size that conditioner, which is so smart as I always run out of it ages before my conditioner. I will definitely by both of these products after they have run out to keep my locks happy. Feel Unique also sell them in 750ml bottles for only about £5 extra, so much cheaper per ml. 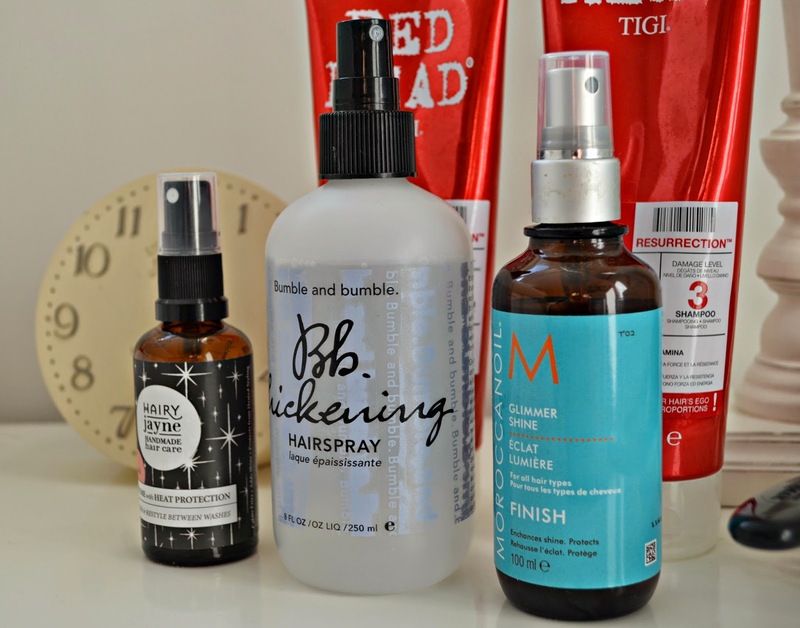 Bumble & Bumble Hair Thickening Spray was one of the first products I ever blogged about because I LOVE it. I re-buy it every time I run out, I haven't found alternative to rival it. Although it isn't cheap at £20.50/250ml it does last me about 6 months. It really helps my hair keep the style I've chosen, whether root volume of waves, and it adds a day onto how long I can go with out washing. Amazing. 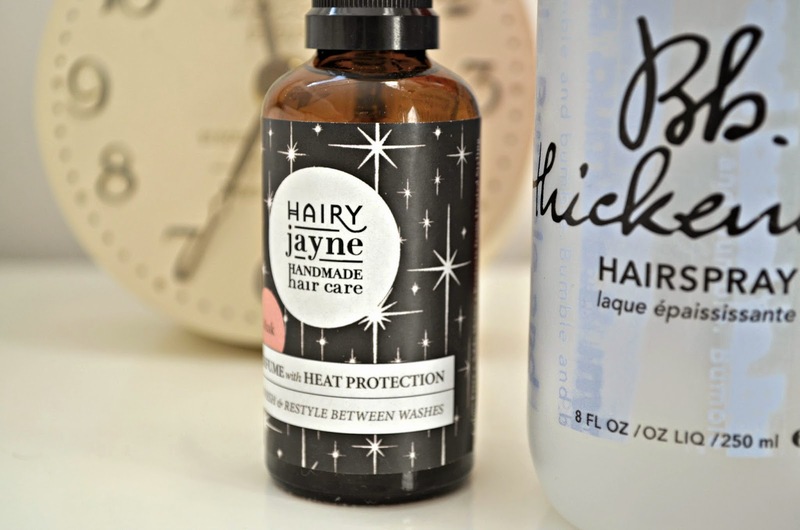 I've also been trying out this hair perfume and heat protection in musk by Hairy Jayne (£9/100ml) when I've restyled my hair without washing. The fragrance helps to freshen and it also contains heat protection and anti frizz ingredients. I don't think I will replace this when I have finished it, but I've enjoyed using it this mouth, so I thought I'd pop it in this post. 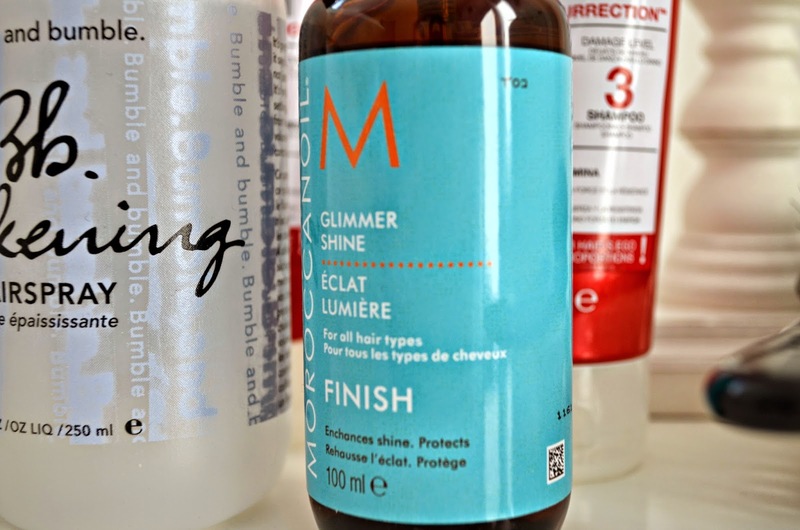 Being a brunette, it is all about having shiny locks, and I currently really loving Glimmer Shine (£19.49/100ml) by Moroccan Oil. I spray it on to my brush and then brush through, it works well on straight and wavy looks.